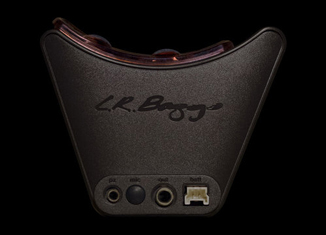 LR Baggs has established itself as a premier brand in acoustic instrument transducers and preamps. 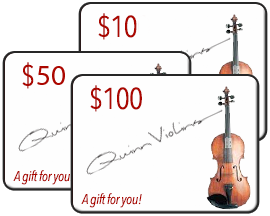 They offer a wide range of high-value professional use products. 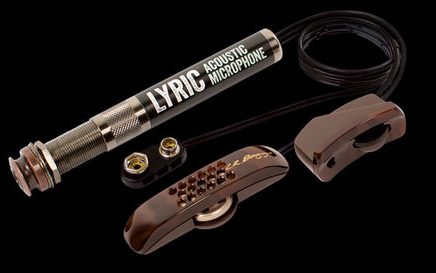 Lyric, the next step in TRU•MIC technology, provides studio mic’d fidelity engineered for live performance. The system includes an internal microphone, Hi-Fidelity mic preamplifier with soundhole volume and presence controls. TRU•MIC noise canceling technology No pickup. Analog signal conditioning. All discrete mic preamplifier. Soundhole volume control. Microphone presence control. Quick & easy installation. 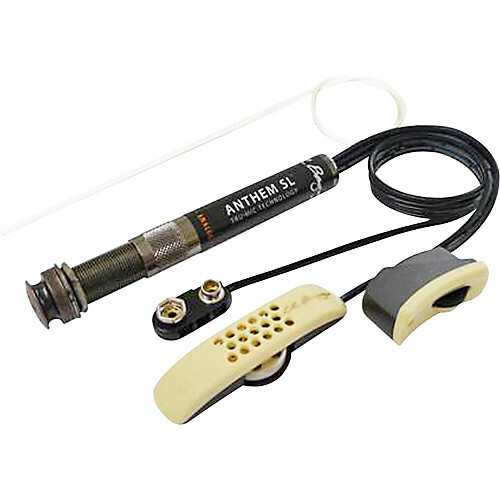 The Award-winning Anthem series, featuring our patented TRU•MIC technology, seamlessly combines a proprietary condenser microphone with our acclaimed Element pickup to deliver the warmth and fidelity of a studio-mic’d guitar anywhere you perform. 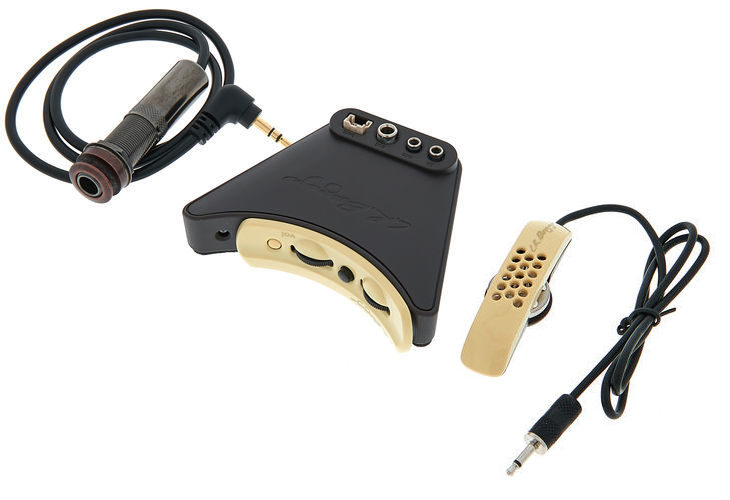 Noise cancelling microphone technology eliminates any annoying honky or boxy qualities from the inside of the guitar. Mic installs easily on the bridgeplate with peel and stick adhesive. Mic and pickup levels preset for optimum performance. Soundhole remote includes volume and mic trim controls. All discrete pre-contoured endpin preamp with preset crossover. Element Pickup fits most common string spacings and saddle width. Mic installs easily on the bridgeplate with peel and stick adhesive. Mic and pickup levels preset for optimum performance. Soundhole remote includes volume and mic trim controls. All discrete pre-contoured endpin preamp with preset crossover. Element Pickup fits most common string spacings and saddle width. For those of you who prefer a minimalist approach to controls, the Anthem SL delivers the same groundbreaking studio mic’d fidelity as the Anthem in a streamlined format with a single volume control. The endpin preamp has all-discrete circuitry for the purest signal and the TRU•MIC is premixed with the Element for optimum performance. This side-mounted option provides easy battery access and a built-in tuner that is hidden beneath the control panel to maintain a clean, classy look. The mix control blends from the augmented TRU•MIC position to Element pickup only. Bass & treble controls, phase inversion and a notch filter offer tone shaping along with maximum feedback suppression. The Stagepro Anthem comes complete with the TRU•MIC and Element pickup. Includes the Tru•Mic and Element undersaddle pickup. Full chromatic tuner that is hidden unless in use. Master volume control. Bass and treble controls for tone shaping on different stages. Notch Filter and phase inversion controls for eliminating feedback. The secret of the M80 is a patented, free-floating humbucking coil that acts as a 3D body sensor. As the soundboard resonates in all 3 dimensions, a proprietary suspension allows each axis of the humbucking coil to respond with the guitar's movement. A resonant body signal is produced and blended with the strings to faithfully capture your guitar like no other magnetic pickup ever created. The M80 also gives you the choice of active or passive settings with the flick of the switch. The active setting engages a preamp with built-in EQ and audiophile circuitry for that “high-fidelity” sound Baggs is known for. Switch to the passive setting and bypass the preamp for a battery free performance. Other features of the M80 include a battery check, volume control and adjustable pole pieces for perfect balance between the strings. The M1 Active’s plug-and-play design features a preamp with audiophile circuitry for that pure acoustic sound we are known for. 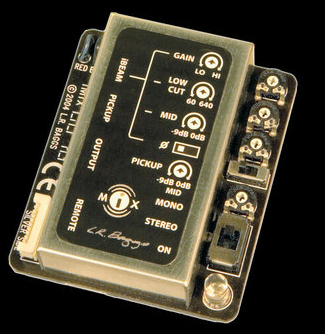 The built-in electronics boosts the pickup’s output for a full and direct signal to any acoustic amplifier or P.A. system, eliminating the need for any external preamps. The M1 Active includes a volume control and adjustable pole pieces for perfect balance and tone between the strings. Highly Feedback-resistant. Volume control. Built-in gold plated 1/8" jack makes removing the pickup a snap. 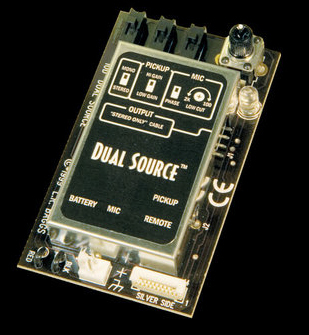 Long battery life – 1,000 hours on one 3V lithium coin cell. Adjustable pole pieces for perfect balance with most string types and gauges. Includes a pre-wired strapjack harness. Like having your very own sound engineer responding to the way you play, this circuitry continually suppresses problematic frequencies common in live performances, allowing the best qualities of your guitar to come through the mix. The built-in low, mid, and high frequency compressors are essentially “touch-sensitive” EQs that respond in real-time to your dynamics. The harder you strum, the more they compress and vice versa. 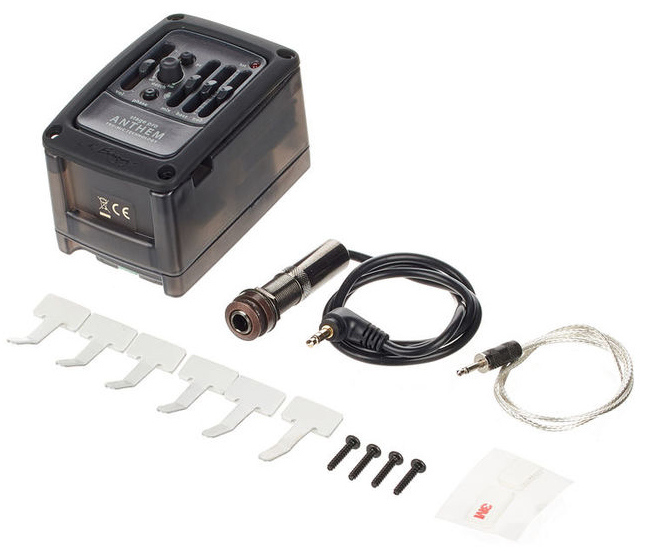 The Session VTC pairs studio electronics with our patented Element pickup for a polished sound on stage. Engineered to mirror the soundboard’s actual movement as you play, a flexible sensor picks up the guitar’s most delicate nuances for the highest fidelity possible. Because the pickup tracks the motion of the top rather than the direct string attack, it mitigates the “quack” common in other undersaddle pickups and unlocks the Element’s unrivaled dynamic range. Breathe life into your signal with additional harmonics for a superior, “natural warmth” and richness of tone. The Session VTC’s “tape-like” saturation is voiced specifically for the acoustic guitar and transports studio, analog warmth and inspiring playability to the stage. Dynamic EQ smoothes out common problem frequencies. Tone control sweeps between a wide range of warmth, clarity, and everywhere in between. Phase inversion for best sound and feedback control. The patented one-size-fits-all Element reproduces impressive body sensitivity and articulation. It also has the greatest dynamic range of any undersaddle pickup available. The Element Active System features an all-discrete Class A endpin preamp and a soundhole-mounted volume control for easy access. Soundhole mounted volume control. The Stagepro Element is a side-mounted preamp/EQ that offers battery access and a full chromatic tuner that is hidden beneath the control panel to maintain a clean, classy look. The three band EQ with phase inversion and Garrett Null notch filter controls deliver warm, pristine sound even under the most challenging conditions. 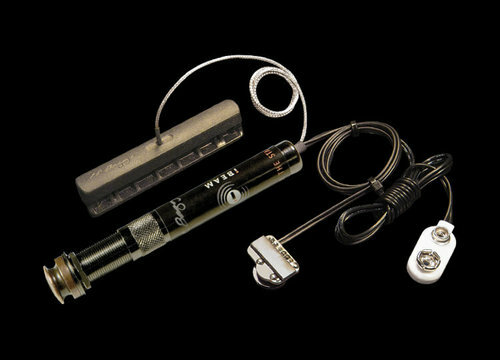 The system includes the Element pickup and pre-wired strapjack. 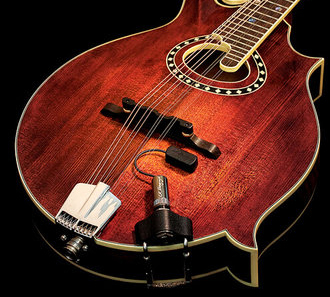 The iBeam’s MIPA award-winning design employs a matched pair of virtually weightless film sensors that flex with the soundboard to trace your guitar’s voice much like diaphragms in a stereo mic. 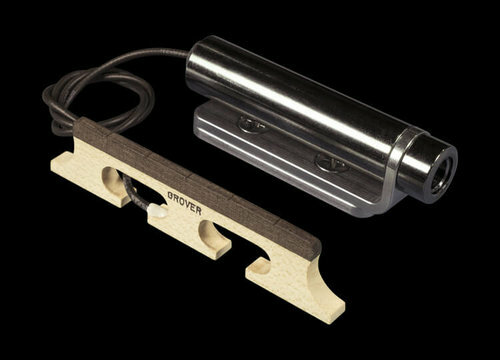 A key advantage over typical bridge plate sensors is the iBeam’s “cardioid” like response pattern that inhibits feedback and string squeak while selectively admitting rich tone-producing vibrations. The iBeam Active pairs the iBeam with an all-discrete Class A endpin preamp with soundhole volume control. The sweet and ultra-quiet audiophile-grade preamp faithfully amplifies every nuance of the pickup. Superior sound and performance is built in for easy plug-and-play performance. An auxiliary passive channel is also available for adding a secondary pickup. The iMix pairs the acclaimed fidelity of the iBeam with the presence and feedback resistance of the Element for the best of both worlds. The miniature preamp mounts non-destructively inside of the guitar and features audiophile circuitry for our signature sound and gives you the option of running in mono or stereo modes. The electronics provide ample flexibility to fine tune the response of your guitar and a soundhole mounted remote includes volume and mix controls for adjustments on-the-fly. Includes iBeam and Element pickups. Mono or stereo operation. Variable iBeam low cut for optimum bass response. Tunable mid contours for iBeam and Element. 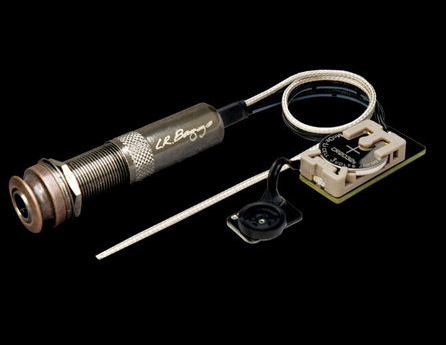 The Dual Source combines LR Baggs' dynamically rich Element pickup with a high quality condenser microphone for enhanced ambience and acoustic depth. A miniature, internally mounted preamp provides tone shaping for a dialed in sound on any guitar and a lightweight remote gives you onboard volume and mix control. 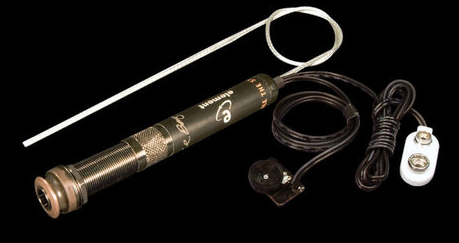 Includes Element undersaddle pickup and Omnidirectional FET condenser microphone. Mono or stereo operation. All-discrete miniature preamp/mixer. Phase reverse on pickup channel. Tunable low cut filter for microphone. This is the pickup that started it all for LR BAGGS. The LB6, with its great presence and warmth, continues to be the pickup of choice for professional musicians like Doyle Dykes, Janis Ian, and Phil Keaggy. Six individual vibration sensors are cast right into the pickup base and epoxy bonded to the micarta saddle to ensure optimum sound transfer. And its built-in feedback canceling design makes it ideal for high-SPL performance situations. Sensor design cancels feedback and body noise for unsurpassed feedback resistance, yet maintains natural acoustic presence and warmth at higher volumes. Strong output signal allows the LB6 to be plugged directly into most amps and effects without the need of a preamp. 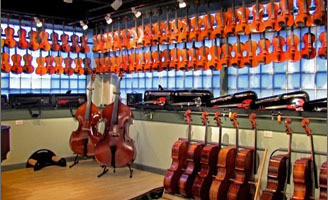 Durable, high-quality saddle material can be shaped for ideal intonation. LB6 for standard Steel String spacing. LB6X for Wider, Fingerstyle spacing. LB12 for 12 String Guitars. The FIVE.O is small, light-weight, and best of all, specifically engineered to track the uke’s unmistakably unique voice. 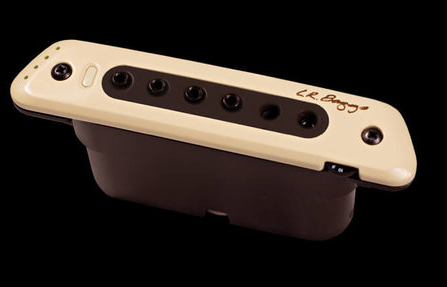 The system combines a custom version of LR Baggs' award winning Element pickup, a soundhole mounted volume control and a miniature endpin preamp powered by a 3V battery. Custom Element pickup. Miniature endpin preamp. Soundhole mounted volume control. 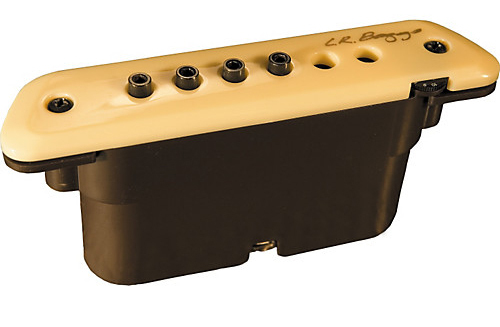 Leveraging the unitary design that made LR Baggs' Violin Pickup a staple for thousands of performing musicians, they now mold our same miniature vibration sensor directly into a 5/8” banjo bridge. 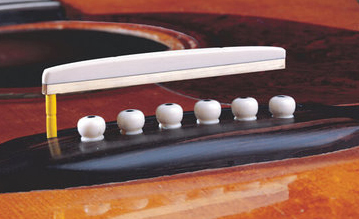 As an integral part of the bridge, the pickup captures inherent characteristics of the instrument fluently at the source without altering any acoustic properties. It comes with a fully custom jack and mounting system we engineered to be reliable, easy to install, and aesthetically compatible with the finest instruments.